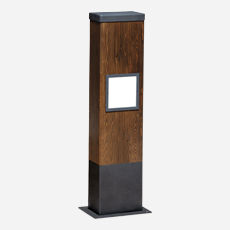 Today’s lighting bollards achieve very interesting levels of lighting and are especially suited to places where it is not possible to use lamp posts or lighting columns. Alan Tulla, the chief editor points out in his article that, in spite of all of the recommendations by the trade for lighting with zero emissions towards the sky, in practice the compromise is split between the quality of lighting, the functionality and the design. To minimise light emissions towards the sky whilst maintaining a large distance between the light points, the Optical units of the lights need to be well designed. The 11 bollards selected by the magazine meet the following criteria: quality of the optical unit, the functional qualities and the design.